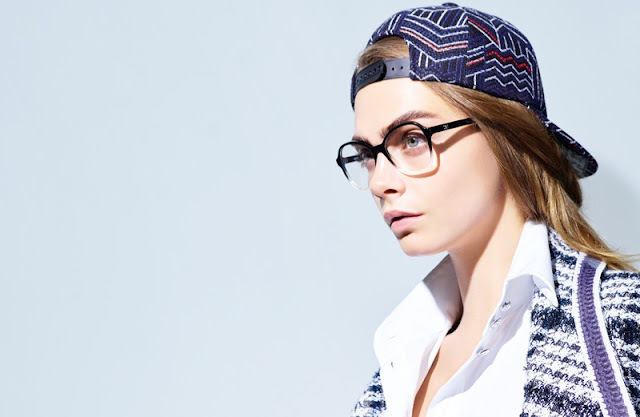 Karl Lagerfeld's muse Cara Delevingne is the face of Chanel's Eyewear Campaign Spring/Summer 2016. 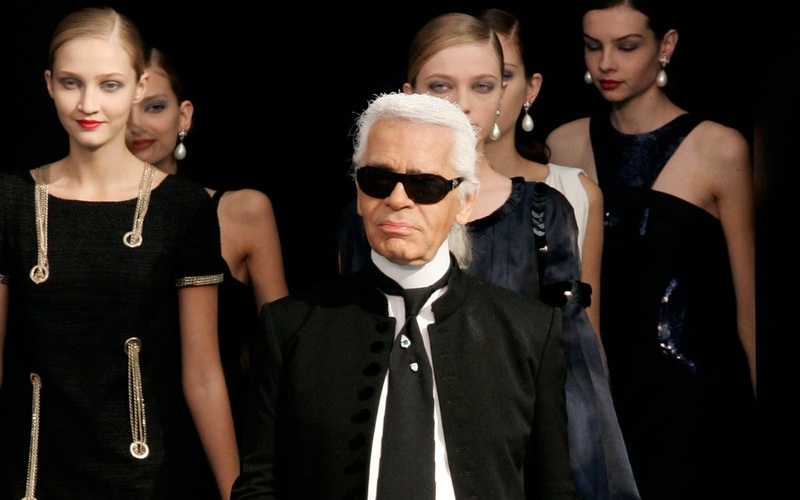 The British model flaunts the sunglasses and optical shades with attitude, lensed by Karl Lagerfeld, in studio images. 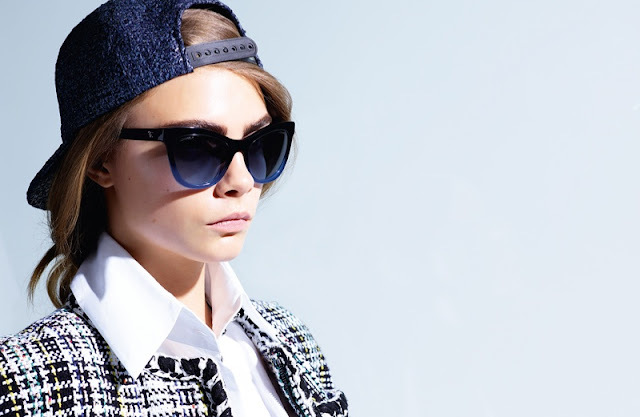 The Chanel Spring/Summer 2016 offers chic cat-eye styles and oval frames, and the designs stand out paired with embellished Chanel jackets and tweed caps.